Skateboarding has come a long way since the early days of clay and steel wheels. Then, there were only a couple options for those intrepid souls who wanted to fly on concrete. These days there are many different types of skateboards, though each one is suitable only for its intended purposes. The evolution of the sport happened naturally, with each successive generation putting their own stamp on what skateboarding would become. The 70s saw precision bearings and urethane wheels enter the mix. In the 1980s, the large kicktail helped us ollie higher, and street skating resulted. In the 1990s, the street skateboard became homogenized into its current form. This period also had the appearance of various skateboard brands such as Element, Plan B, Zero or Blind. Whatever skateboard you choose, remember to select one from the best skateboard brands to have great experience. Also in the 90s, some surfers and snowboarders brought skateboarding back to its roots with the invention of the longboard. Longboarding itself has evolved into several niches, each with their own independent subcultures. Board shapes change like skateboarding itself, on whims and with the winds of whatever skaters decide is cool. The modern street board, sometimes called the popsicle, has evolved into its homogenous look over time. In the beginning of street skating, board shapes varied wildly. But, as tricks became more standardized, the shapes of the boards followed suit. Modern street boards can be prohibitively expensive, but new riders may want to check out this list of the best skateboards. Typically, a street board is about 33 inches long and from 7.5 inches to 8.75 inches wide. Truck widths match board widths, and wheels are typically smaller and harder than in other types of skateboards. With these boards, form follows function, and everything else is secondary. To get a look at what a great skater can do with a popsicle stick beneath their feet, check out Guy Mariano in this Video from The Berrics. Skating was huge in the 1980s, and the wild original deck shapes from that era are seeing a resurgence in the 21st century. Turns out that the old schoolers didn’t stop skating, they just do it in secret locations like hidden backyard pools. Classic skateboards from that time can sell for big bucks on auction sites, and reissue boards have been a popular collector’s item for some time now. A square tail is typical, and widths can go over 9 inches. A nose may be present, but it is not required. These riders attack terrain with fury; they don’t often do flip tricks. Wheels are normally bigger and softer than street setups. Trucks will be wider to match the wider deck, so turns require a bit more force to pull off. To see an example of a modern old school deck, check out Mike Vallely’s Video for his new model, which he shreds the OG way. Cruisers are generally made for transportation and just fun kicking around town. They typically have a useful tail, but no kick nose. The shapes of cruisers can vary wildly, from the littlest Penny boards to boards that fit into the longboard category. On average, though, they are typically about the same length as a street skateboard, though usually wider. Cruisers may sound like they are meant to go slow, but that is far from the case. A high-quality cruiser fitted with big, longboard-type wheels and decent bearings can attain incredible, even dangerous speeds. Cruisers are usually intended for carving as more than for outright speed, though, and looks are more important to the typical cruiser rider than most other skaters. 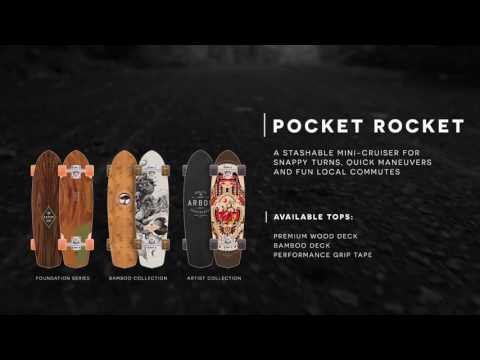 For a 360-degree look at a typical cruiser, watch this Video of the Arbor Pocket Rocket. Modern longboards have their roots in the early 1990s, when a small group of friends formed Sector 9, the first longboard company. The first prototypes were simply shaped-down snowboards, but as interest grew, the company began to make different types of boards. Pintail longboards are meant for cruising, and can be as long as 44 inches. There are top-mount boards that can reach incredible speeds going downhill. 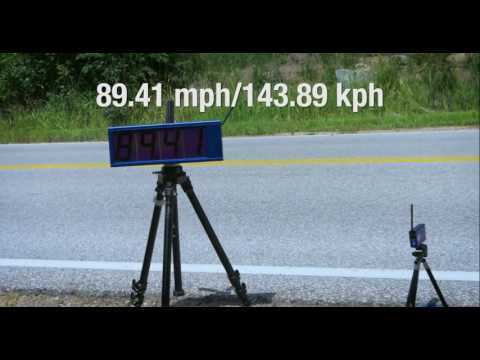 Check out This Video of Kyle Wester setting the world record for speed on a longboard. Other downhill shapes include the drop-through deck and the drop-down deck, both of which are designed to get the rider lower to the ground for stability. It is up to each of us to figure out the answers for our questions, such as “What kind of skating I want to do?”, “What size skateboard should I get?” and then seek out the best components we can find that help us develop our own style. As a street skater, the popsicle stick speaks to me in ways the others do not. You may elect to go with one of the others, but remember that the things you can do on more outlandish shapes diminish drastically. If this article helped you decide what types of skateboard is right for you, please share it so your fellow skaters can reach their own conclusions. And leave a comment so we’ll know what you think of this, or our other skateboarding articles. Keep in mind that anyone on a skateboard out there is your brother or sister. It’s not what you ride; it’s that you ride.